﻿﻿Nothing is better than being immediately aware of company activities and announcements. Stay informed with instant notifications. Whenever an announcement is posted, leave is approved or a job is assigned, you will get an immediate notification on the top-right corner of your dashboard. This ensures effective communication within the organization and builds a strong social environment. 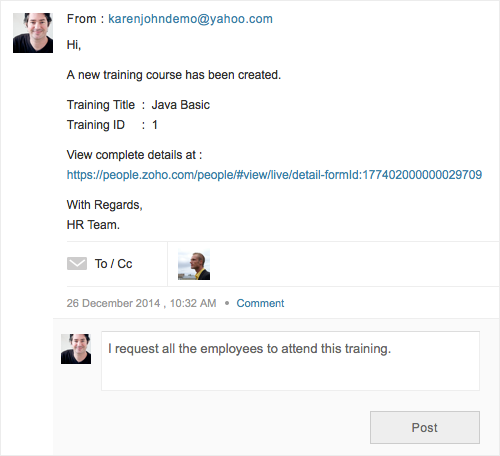 With Zoho People's notification and feeds you can post a status to your department or tag any of your colleagues. 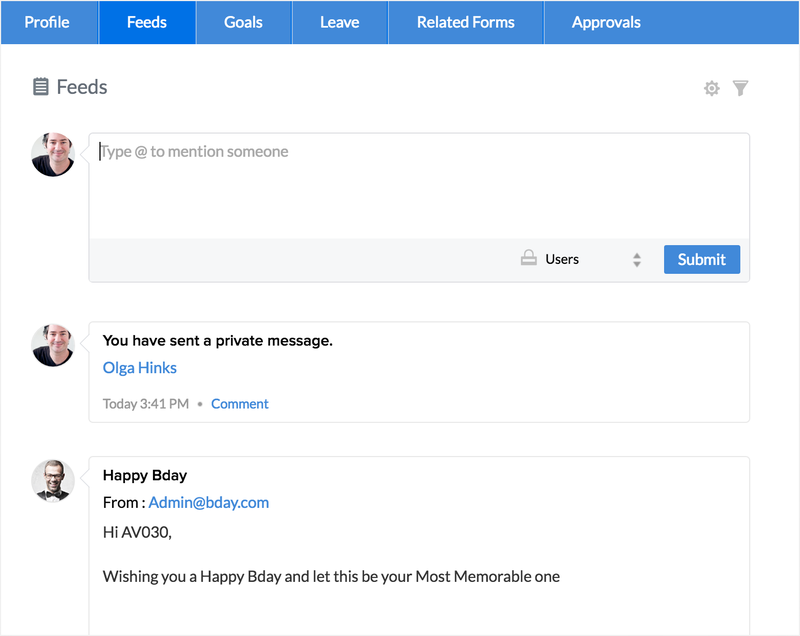 And that's not all, you can also send a private message directly to anyone in your organization. It's as simple as this - type the message. Click post.